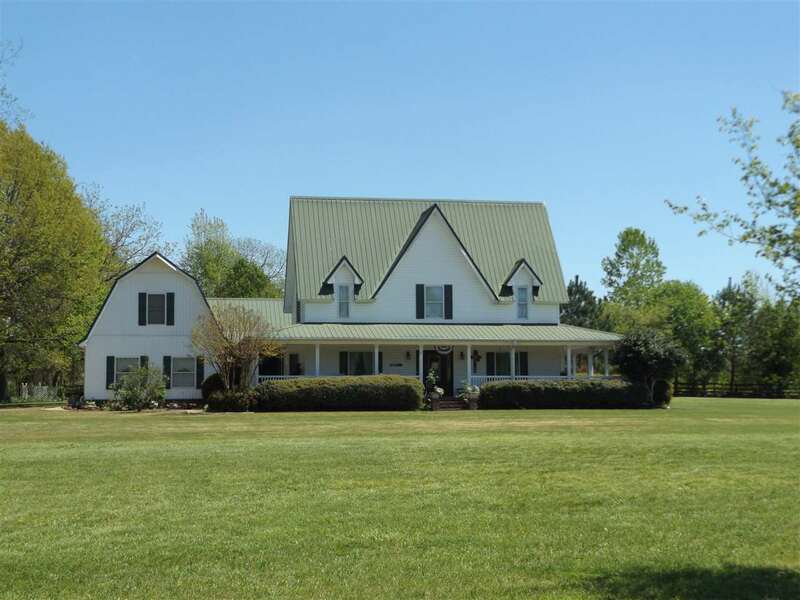 Charming Country Home on 3.33 Acre Lot~Large Yard & Lovely Wrap-Around Porch~Downstairs Features Beautiful Hardwood Floors, Large Eat-In Kitchen w/ Lots of Cabinet Space & Open Concept Into Living Room, Separate Dining Room, Office & Laundry Room~Master Bath Has Travertine Tile Floors, Double Vanity, Separate Shower/Tub & Spacious Walk-In Closet~Upstairs You Will Find More Bedrooms & 2 Full Baths & More Walk-In Closets~ Suite above the garage, bedroom, bonus, bath. Handy 3 Car Garage. Much more!